DON'T WAIT TILL THE LAST MINUTE! 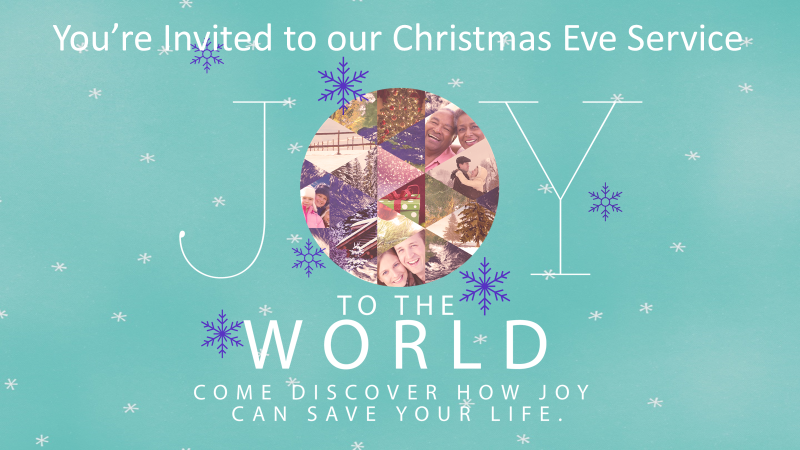 Time is running short for you to invite your friends, family, co-workers, classmates, and acquaintances to next Sunday's Christmas Eve service. Invites will still be in the bulletin and you can invite them through our facebook event. Another thing we are incredibly excited about is the upcoming Women's Mini Retreat called the Sweet Life Cafe. Be refreshed at Sweet Life Cafe! A cafe-themed retreat on February 16-17 for all women ages 13 and up. Cost is only $25. Sign up by January 21. Check out our booth in the Fellowship Hall for more details and registration. Gift certificates are also available for purchase at our booth if you would like to bless someone with attending this retreat! The other event we are excited about is The Chapel's annual Men's Conference "No Regrets." It's a one day conference with internationally known speakers streamed in as well as local pastors leading break-out sessions. One of those local pastors is our very own Pastor Knute Larson. You don't want to miss this great opportunity at a fantastic price. Register online at the Chapel's website by January 28 and only pay $20. May God bless you this week. I can't wait to see you Sunday. Don't forget to read ahead in John. We're going to be in the end of chapter 15, starting with verse 18 and carrying on till 16:6. Jesus is transitioning from talking about our relationship with each other to talking about our response to how the rest of the world may perceive us. God bless you as you dig into His word!